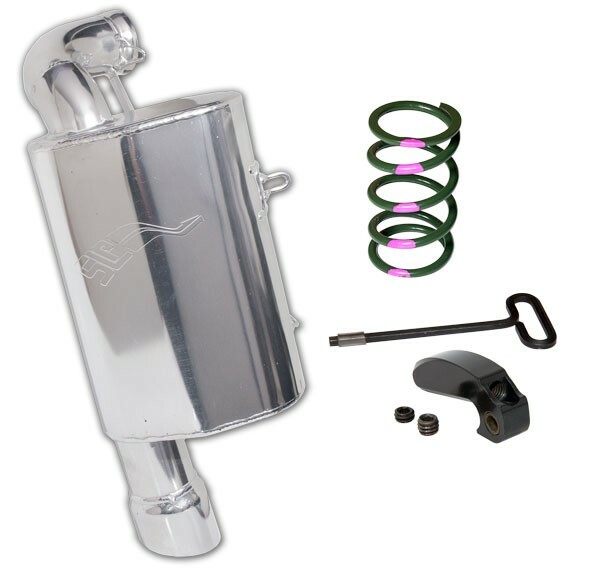 This package features an SLP Lightweight Silencer that reduces weight by 10 lbs. (11.5 lbs on RMK, RMK Assault and SKS models) and provides an additional 2 horsepower increase. This kit is 2 lengths faster in 3/10ths mile drag race, 3 lengths faster up to 95 mph. For optimum performance it also includes a SLP Power Shift™ clutch kit. No fueling changes required. Silencer is compatible with SLP Single Pipe, allowing pipe to be added at a later date.